Apr12 Comments Off on My Dear Hamilton Hits USA Today Bestseller List! Thank you Readers! 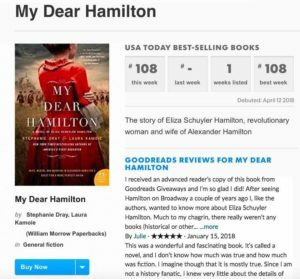 My Dear Hamilton Hits USA Today Bestseller List! Thank you Readers! ← 50-State Challenge & Giveaway!